Explanation: Now the brilliant "star" in planet Earth's evening skies, Venus is captured in this creative astrophotograph. Taken with a close-focusing lens on January 18 from Milton Keynes, UK, it shows multiple images of the sky above the western horizon shortly after sunset. The images were created by water drops on a glass pane fixed to a tree. Surface tension has drawn the water drops into simple lens-like shapes. 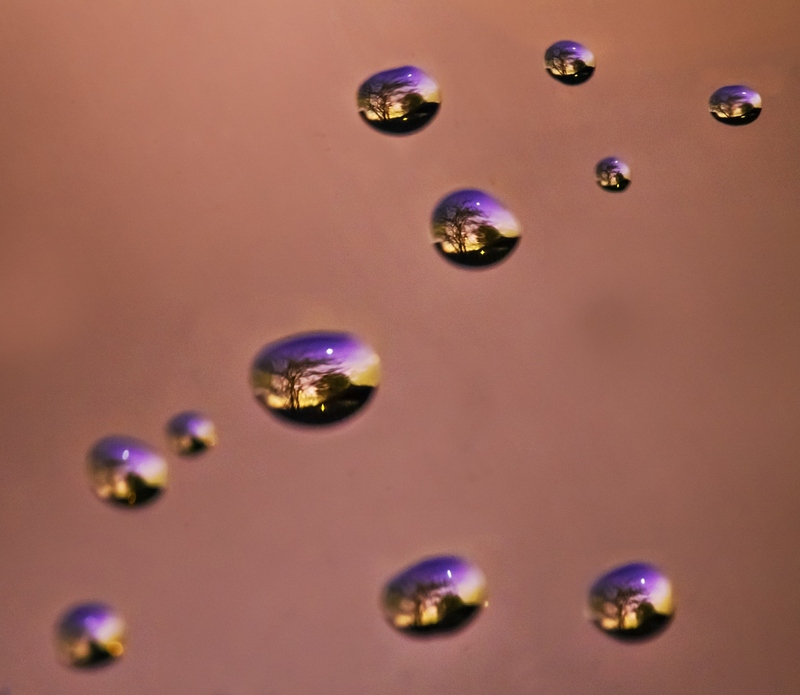 Refracting light, the drops create images that are upside-down, so the scene has been rotated to allow comfortable right-side up viewing of a macro-multiple-skyscape.